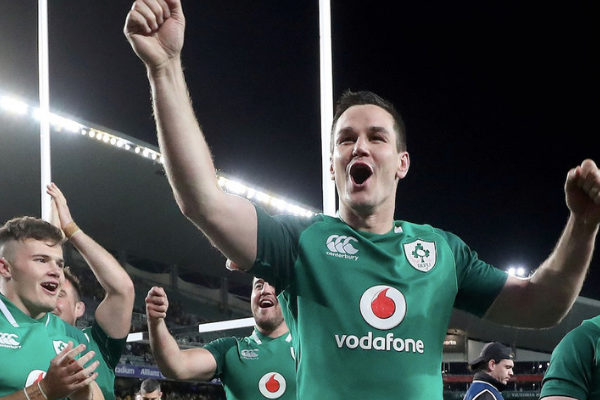 Ireland will play four Autumn International matches in November 2018, including an opening fixture against Six Nations rivals Italy in Chicago. 10th – Ireland Vs Argentina – Kick-off 18.30hrs in Aviva Stadium. 17th – Ireland Vs New Zealand – Kick-off 19.00hrs in Aviva Stadium. 24th – Ireland Vs USA- Kick-off 18.30hrs in Aviva Stadium. The easiest way to travel directly to The Aviva from our Dublin City bus stop at Eden Quay is to take the DART. The dart line runs under the West stand of the stadium and stops at Lansdowne Road Station. It’s a short 5-minute walk from the stadium. 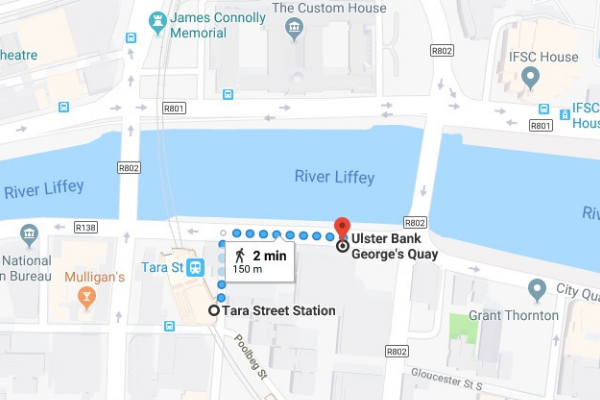 For the return trip home by bus, you can get picked up from Ulster Bank, Georges Quay. 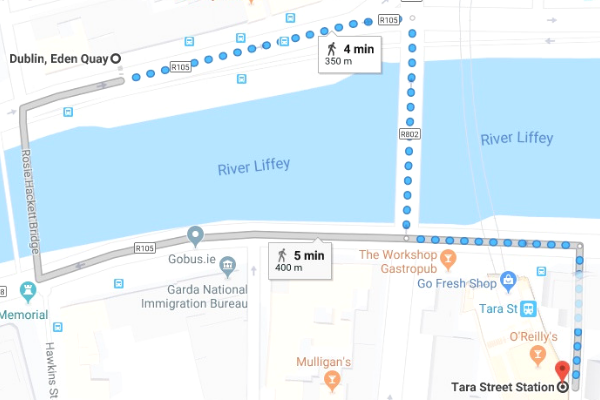 This is a 2 minute walk from Tara Street Dart Station. See the Google Maps link by clicking on the map below.